Over 270 images featuring more than one hundred and fifty ceramic pieces shown in the Early 20th Century Art Pottery from Madison and Fayette Counties exhibition at the Lexington Public Library (November 12, 2011-January 22, 2012) were recently added to KOAR. Central Kentucky pottery may not be quite as well known as other regional brands, such as Rookwood in Cincinnati, but as co-curator Jerry Nichols says, “This is Southern, homegrown, real stuff versus factory-produced stuff, so you could argue it is better. This is true Kentucky art, made of our natural resources and labor.” The Lexington exhibition included work from three potteries, one with two production lines: Cornelison Pottery (later known as Bybee Pottery), Waco Pottery, and the Bybee Pottery Company of Lexington. Details about the last two potteries can already be found in KOAR (by clicking on the “Link to Artist Details”), from an earlier exhibition at the Hopewell Museum in Bourbon County, Waco and the Bybees: Central Kentucky Art Pottery, 1900 to 1935 (May 27-September 27, 2009). There is less information given on the Cornelisons’ pottery, however, so this post focuses on them. 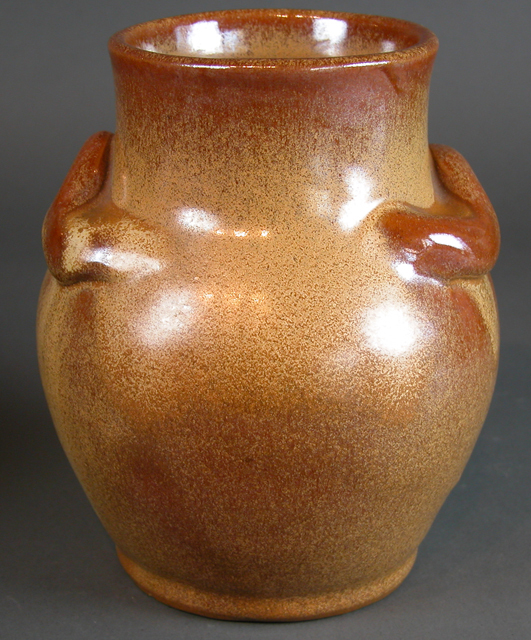 Webster Cornelison founded Bybee Pottery, which passed down to James Eli, then to Walter (who was proprietor during the 1920s heyday of art pottery), and to Walter’s son Ernest in 1939. Most Cornelisons had not been potters themselves; they had hired potters. That was until the fifth generation, when Walter Lee Cornelison (Jim’s and Buzz’s father) came along. As Buzz explained, “My great-grandfather made a kick wheel for my father when he was a little boy, and he said he had his own corner … his own clay. Every once in a while, somebody would walk by and say, ‘Try it this way’ and show him something. That’s the way he learned to throw.” Walter spent decades at the potter’s wheel, even after he took over the business, producing hundreds of thousands of pieces now prized for their quality. The art of ceramics begins with mineral-rich clays having a crystalline structure that becomes more plastic when mixed with water. 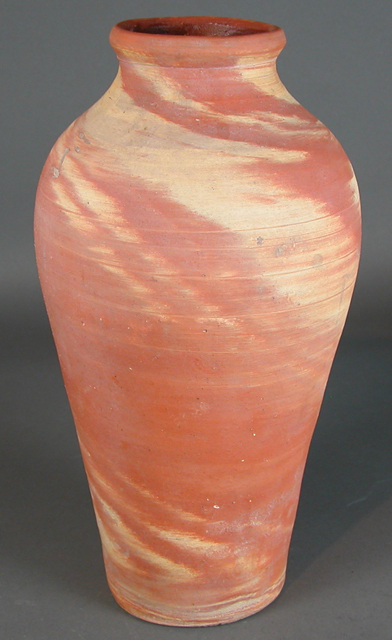 The clay used to make this pottery can be found in an open pit about three miles from Bybee. Historic records show that the first settlers mined this same clay-rich soil near the Kentucky River in southern Madison County, then still on the American frontier, and took the clay to Fort Boonesborough for making crude dishes. Since Kentucky’s pioneer days at least fifty small potteries have been located near the clay deposits of Madison County. The Cornelisons’ process of making pottery remained very similar to the methods used two centuries earlier. The clay was open-pit mined several feet beneath the topsoil, more recently dug out by bulldozers, backhoes, and tractors rather than shovels. (After removal of the hundred tons of clay typically used in a year, the hole was filled in and marked for the next year’s dig.) The fresh clay was then ground to remove any pebbles or impurities in a simple pug mill, traditionally powered by a mule-drawn wheel. The clay was formed into “logs” then stored in an ancient vault to keep it moist and pliable until needed. The only thing ever added to the clay was a little water. After being weighed on an old balance to ensure uniformity, the clay was thrown by hand on a traditional foot-controlled potter’s wheel, now powered by electricity. Once off the wheel, the clay body will retain whatever shape it has been given as it is allowed to dry. Finishing details (such as handles, flukes, and spouts) can be added by hand while the clay is still in a leather-hard state. The clay form must be thoroughly dried before firing in the kiln, heated to 2,200° for 24 hours; natural gas eventually replaced wood for fuel. Firing chemically transforms the clay into a material resembling the moderately hard stones from which clays originate. Finally, adding glazes created Bybee’s signature colors and patterns. 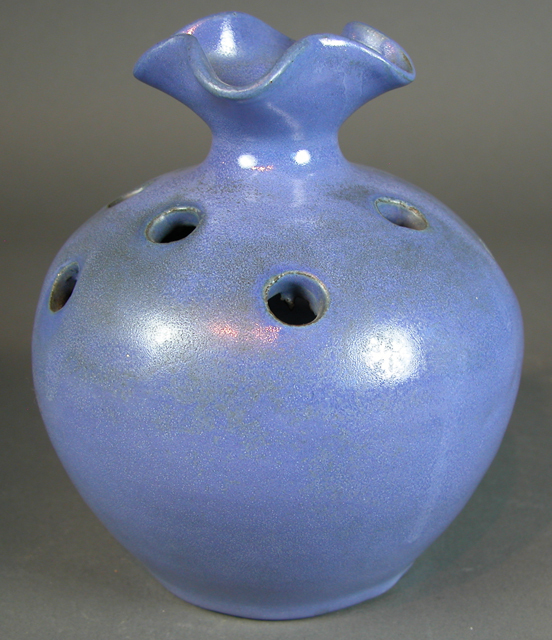 Glazes are silica-based substances that provide a lustrous non-porous (thus waterproof) surface. Fluxes added to lower the melting point of the silica, such as certain mixtures of minerals or metal oxides, can act as color-inducing agents. 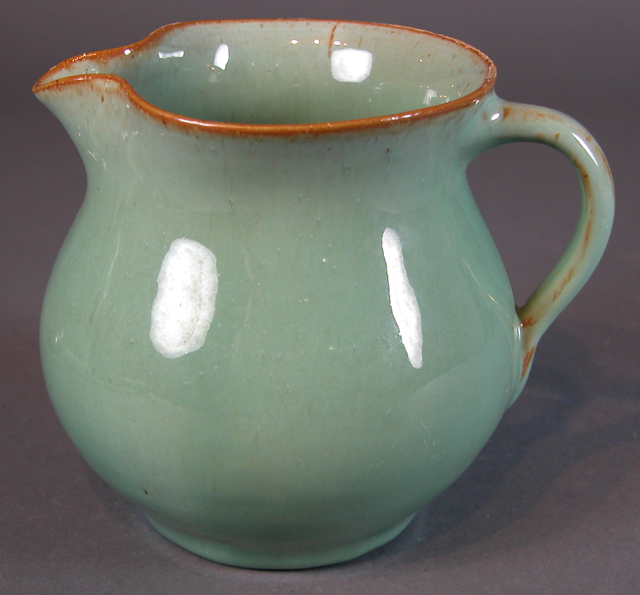 Typically, glazes are hand-applied after the bisque (first, or unglazed) firing by dipping, brushing, sponging, or pouring directly onto the surface of the piece. Then it must be fired again, this time at a somewhat lower temperature (to preserve the integrity of the ceramic body), transforming the glaze into an amorphous glass structure that fuses with the surface of the clay. 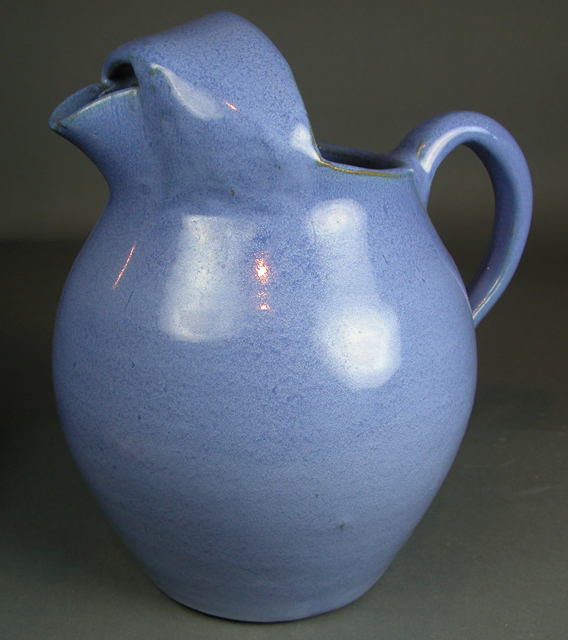 By the early 1900s, demand had diminished for the utilitarian crocks, churns, jars, and jugs used in a largely agrarian society. The need for everyday pottery became obsolete with the increasing prevalence of modern storage vessels made of glass or tin and the industrialization of the potter’s craft. 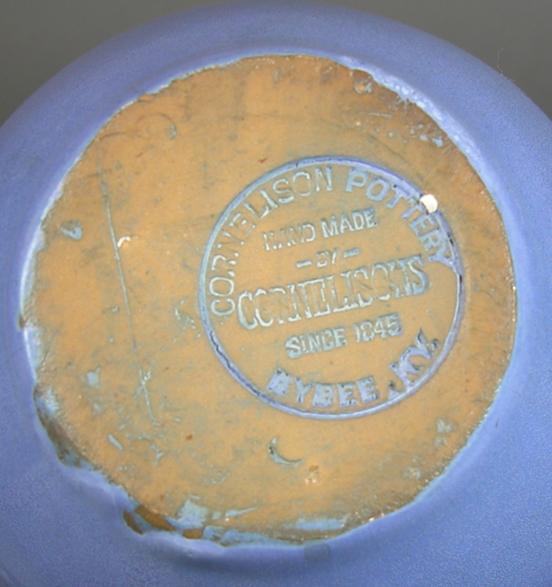 Many of the remaining traditional potteries in Madison County went under. But the Cornelisons, like many other American Arts and Crafts potteries determined to continue creating handmade objects, adapted to the twentieth century by shifting their production to “art” pottery that was designed to be beautiful as well as functional. 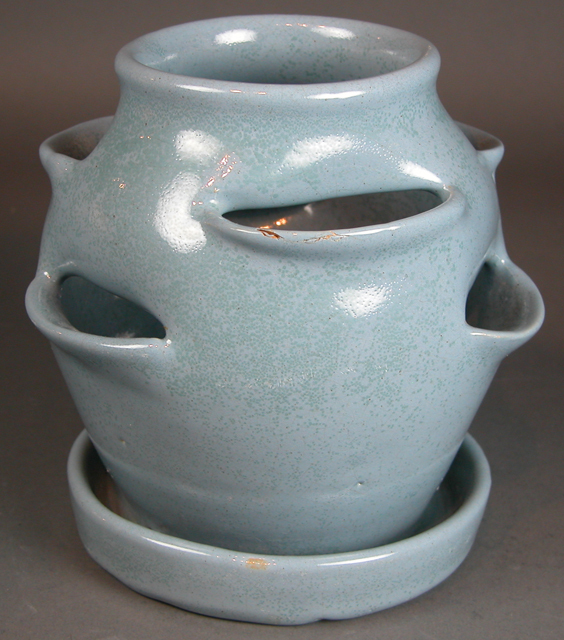 (Waco Pottery and Lexington’s Bybee Pottery Company soon followed; all three Kentucky potteries gained national recognition during the economic boom of the 1920s.) Practical and decorative tableware, cookware, and containers glazed with bright custom-made colors created a distinctive look that marked each piece as a handmade Bybee original. Enter your email address here to receive notifications of new posts.